Differences in definitions and methods of data collection on deaths occurring during or shortly after pregnancy have created confusion and challenges in evaluating research findings. The study aimed to determine if the use of enhanced linkage procedures improve data collection of deaths occurring during or shortly after pregnancy, and how different definitions of those deaths changed the results of data analysis. The study used 2000–2005 Louisiana Pregnancy Mortality Surveillance System (LPMSS) and 2000–2005 death certificates linked with 1999–2005 live birth and fetal death certificates. Five indicators of deaths occurring during or shortly after pregnancy using WHO and CDC/ACOG definitions were estimated. One-sided Spearman rank test was used to analyze maternal mortality trends from 2000 to 2005. Of 345 women who died within 1 year of pregnancy, 187 were identified through linkage; 38 of those were missed by the LPMSS. Total mortality ratios of deaths occurring within 1 year of pregnancy ranged from 13.4 to 88.9 per 100,000 live births depending on the indicator used. 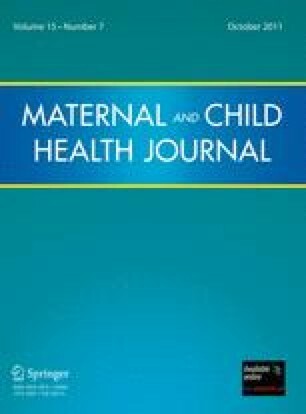 CDC/ACOG pregnancy-related death and pregnancy-associated death statistically increased, whereas WHO pregnancy-related death decreased between 2000 and 2005. The most common causes of death differed by indicator. Universal adoption of linkage procedures could improve data on deaths occurring during or shortly after pregnancy. Estimates, trends, and most common causes of death were markedly different depending on which indicator was used. Additionally, the use of different mortality indicators during analysis provides a more detailed picture of potential target areas for future research and interventions. The data of this study were provided by Louisiana Department of Health and Hospitals, Office of Public Health, Center for Health Statistics and Vital records. We would like to thank Dr. William M. Callaghan, Senior Scientist, Maternal and Infant Health Branch, Division of Reproductive Health, National Center for Chronic Disease Prevention and Health Promotion, Centers for Disease Control and Prevention, and Dr. Rodney Wise, Maternity Program Medical Director, Louisiana Office of Public Health, Professor Ob/Gyn, LSUHSC-Shreveport for their expert comments for limitations and implications of this manuscript.